However it can also be a time when we can become a little manic or obsessive about things, and feel sad or not connected to other people. Gomasio and miso condiments can be used in small amounts while barley and wheat are the grains most appropriate at this time. If you’re living in the Northern Hemisphere, you can view our Spring Newsletter here. 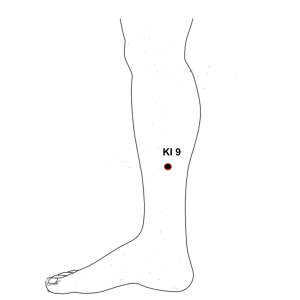 Kidney Meridian Point (KI 9) – is located at bottom of calf muscle on inside of leg. It is a very good point for detoxing. The above technique is for symptomatic relief only. If symptoms persist please consult a qualified shiatsu therapist for a full treatment. Wash and finely cut the spinach and watercress. Cut the onion small and stir fry it, adding in the watercress and spinach till lightly cooked. Add the tamari and set aside. Prepare the tofu cream by blending together the tofu, tahini, rice vinegar, garlic, and water. Simmer on a low flame for about 5 minutes. Add the tofu cream to the spinach and mix well. Steam the taro root for 15- 20 minutes or until soft. While warm cut it in small pieces, and add it to the mixture. Dip each rice paper at a time in water for a few minutes to let it soften. Put some filling in and roll it, securing the ends by tucking them inside first before rolling. 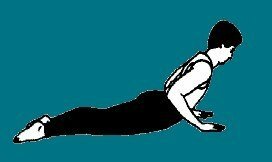 This pose helps relieve stiffness in the back, sciatica, lumbago as well opening the chest and pelvic regions. Lie face down on floor. Inhale extend legs keeping feet together. Rest palms beside chest. Maintain pose for 20 seconds breathing normally. Exhale bend elbows and lower torso to floor. Star of Bethlehem can be taken when we have undergone a traumatic experience. It can be used effectively for any trauma or shock regardless of whether the incident happened in childhood or quite recently. People with a tendency to withdraw from taking an active part in life, or feel totally overwhelmed or paralysed by having to put their energy into something can benefit from Star of Bethlehem. Psychosomatic conditions also respond well to this remedy because of its relaxing effect. It can also be given to newborn babies and their mothers to help counteract any birth trauma. General dosage is 4 – 5drops under the tongue at least 3 times a day, or whenever feeling despondent, in shock, afraid, or cut-off from life. Close your eyes and take a few deep breaths. Allow yourself time and space for the next few minutes to perhaps discover something new about yourself or perhaps something that you’ve had but forgotten along the way. And as you continue to breath in and breath out slowly, I’d like you to picture the sun. 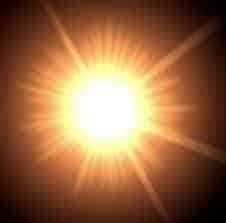 See its brightness and feel the warmth and glow of its rays upon you face as you continue to breathe in and breathe out. And as you do that, you might feel that warmth and glow start to move through your body…becoming stronger with each breath you breathe and breathe out. You might notice it first in your face and then neck and shoulders as it moves down your chest, down your arms, down to your stomach. Feel the heat start to gather in your lower abdomen just below the navel, and imagine the heat igniting inside you as if it is a furnace of raw energy. Feel the intensity of that furnace and understand that it is the source of all your energy and power. From that furnace, let that energy stream forth to all parts of your body your legs and arms, fingers and toes until you’re tingling with energy. And now it’s time to let that energy stream out into the world and to those you care about. Let it become a spark that ignites the flames in their hearts so that they, too, become powerhouses filled with energy and light, joy and inspiration. When you experience this, you may realise that we are all children of the Universe and everyone is connected to all things and beings. Allow that realisation and connectedness to flow over you and smile to yourself. 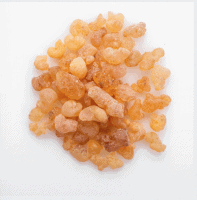 Frankincense, also known as Olibanum, is produced from the resin of the Boswellia family of trees. It can provide symptomatic relief from anxiety as well as general stress and ulcers.